Ulaganayagan Kamal Haasan's Papanasam final copy is ready and the makers have submitted it for censors. The audio of the film was launched at Suryan FM with the presence of Kamal Haasan, Gauthami, Niveda Thomas and ‘Baby’ Esther. 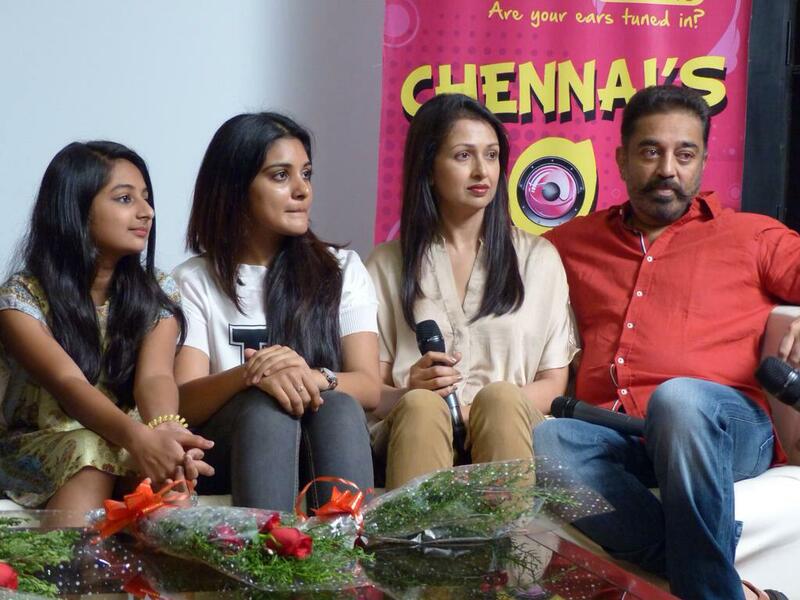 Ghibran composed Papanasam songs have been launched and are highly entertaining music lovers. Sources say that the team is expecting a clean ‘U’ from the censor board and once the censor is done, they are likely to announce the official release date. Directed by Jeethu Joseph, Papanasam is the official Tamil remake of Malayalam superhit Drishyam, which is also a big hit in Telugu. Mohanlal and Venkatesh played leads in respective languages and Meena accompanied them. The CBFC will proceed the Papanasam censor formalities on Monday [June 22] and it has to be seen if it gets a clean U certificate as expected by the team. Reports say that the team is looking for a possible release on July 3rd and they will be negotiating the territory wise business soon.